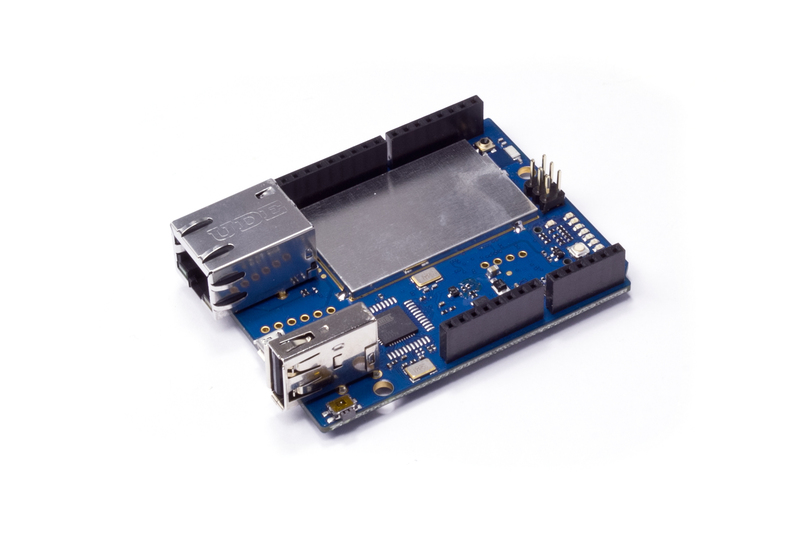 By Alex Castle on June 12, 2013 at 3 p.m.
Arduino is a great hardware platform for anyone interested in building almost any sort of homebrew electronics project. 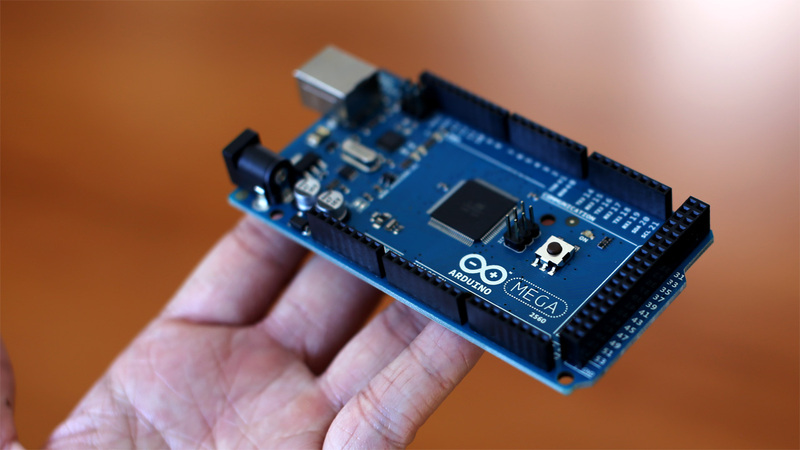 But the huge selection of Arduino boards can make it hard for a beginner to get started. To get you started, let's go over the most common Arduino boards, and explain how to find one that will suit your project. 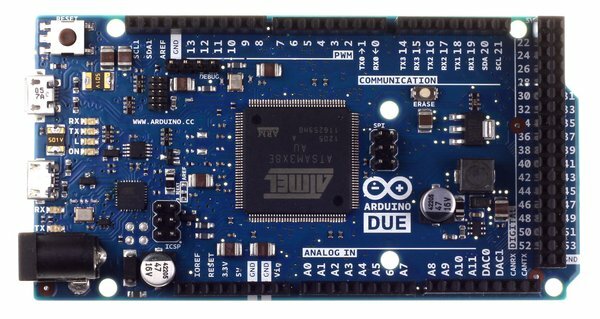 Arduino is, as I’ve written about before, a great hardware platform for anyone interested in building almost any sort of homebrew electronics project. One of the best things about it is that it’s undergoing constant innovation. There are dozens of different Arduino boards on the market, so you can find the perfect hardware for any kind of project you’re working on. Unfortunately, that same huge selection of Arduino boards can make it hard for a beginner to get started with the platform. On the official site alone, there are almost 20 current- or last-gen Arduino boards listed, and there are dozens more unofficial boards for sale on other sites. Picking the one that's exactly what you need is daunting—especially if you're not familiar with the vocab used to describe the various microcontrollers and boards. To help make the process a little easier, I'm going to look at the most common Arduino boards on the market right now, and I'll explain how to distinguish between them. 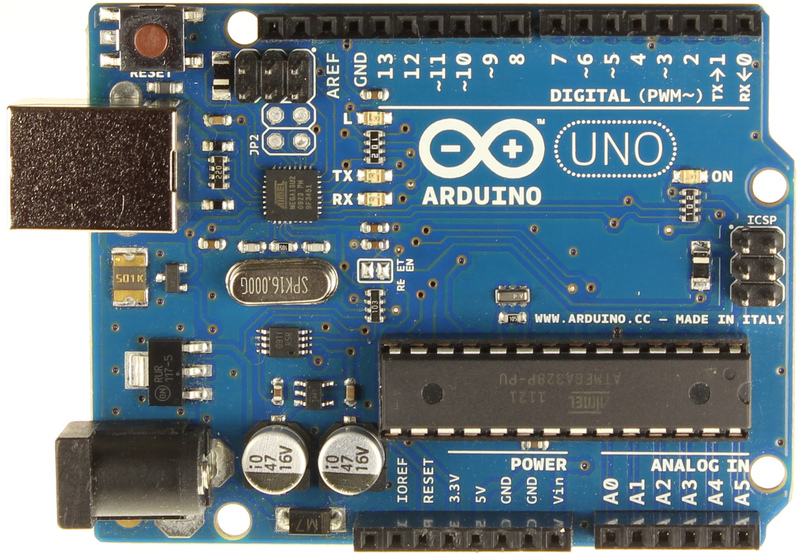 There are three broad ways to differentiate the various Arduino boards. The first is to look at the board’s processing capabilities—the microcontroller’s memory, clockspeed, and bandwidth. The processing hardware is generally entirely determined by which microcontroller chip the board uses, and constrains what kinds of software can run on that board. The second way to differentiate between the boards is their feature set. This includes all the stuff on the board other than the microcontroller, such as input and output pins, built-in hardware like buttons and LEDs, and the interfaces available on the board (USB, Ethernet, etc). Finally, because Arduino is meant to be built into physical projects, form factor is very important. Arduino comes a variety of shapes and sizes. With all that out of the way, let’s look at the boards you're most likely to want to use in your project (as of June 2013). I’ll break down the distinguishing characteristics and features of each model, as well as what kind of project that board is best for. The Arduino Uno is the most “standard” Arduino board currently on the market, and is probably the best choice for beginners just getting started with the platform. The board is compatible with more shields (add-on boards) than other models. Additionally, the ATmega328 microcontroller can be removed from its socket and replaced for as little as $6, in case you break it somehow. The Uno's main limitation is the ATmega328 chip, which doesn’t have a lot of SRAM or flash memory. That limits the kinds of programs you can load on the chip—if your project involves a display or otherwise needs to store and use any form of images or audio data, 2KB of memory probably isn’t going to be enough. The Leonardo is, essentially, a slight upgrade to the Uno. It looks a lot like the Uno, but it features a soldered-on ATmega32u4 microprocessor with a tiny bit more memory. The main advantage of the AtMega32u4 isn’t the extra SRAM, though, it’s the chip's built-in USB compatibility. This allows the Leonardo to interface with a PC, which sees it as a generic mouse or keyboard. It also features a few extra analog input pins. Most impressively? The Leonardo is actually cheaper than the Uno, at $25. Before you start hammering that “add to shopping cart” button, note that the general impression around the web seems to be that the Leonardo still has a few bugs that need ironing out, and isn’t quite as beginner friendly as the Uno. 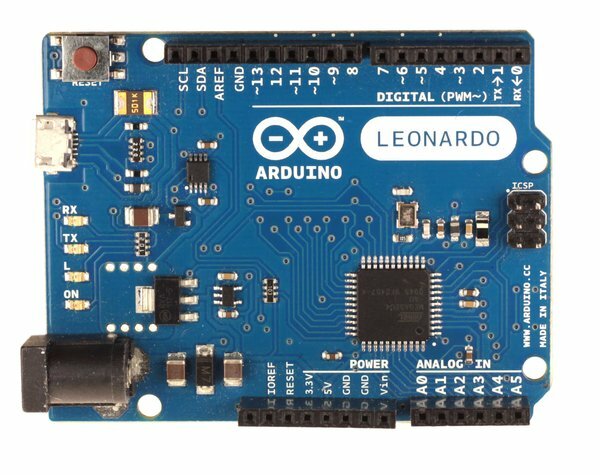 For builders already familiar with Arduino, this is the better deal. One drawback to the Due is that it operates at 3.3 volts, which is different than the 5 volts that most other Arduino boards operate at. That limits the add-on hardware that’s compatible with the Arduino Due—if an add-on board tries to send a 5 volt signal to the Due’s I/O pins, it could damage the microcontroller. If you need a powerful Arduino board that still operates at 5 volts, you can look at the $58 Arduino Mega 2560, but for the most purposes that board is outperformed by the cheaper Due. 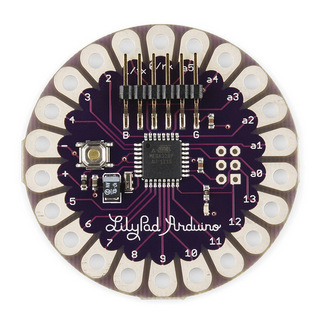 The LilyPad is an Arduino board specifically designed for wearable devices. Its circular shape and standoff-less I/O pins are designed to make it easy to sew the LilyPad into fabric-based projects. The hardware on a standard LilyPad board is basically the same as on and Arduino Uno. There are a number of other LilyPad options available as well, including the are a number of LilyPad boards available, including the LilyPad Arduino USB, which feature’s the Leonardo’s ATmega32u4 chip, the LilyPad Arduino Simple, which has fewer I/O connections than the basic model, and the LilyPad Arduino SimpleSnap, which can be snapped into and out of projects, so they can be safely washed. Features: Wi-fi enabled Linux based system on a chip, 14 digital analog I/O pins, 12 of which can be used as analog inputs. Native USB. Not available for sale until the end of June, the Yun is an attempt to make it easier to connect to cloud-based services from the Arduino platform. Typically, the low-bandwidth, low-memory microcontrollers have a hard time handling the verbose protocols used to access those services—to get around this limitation, the Yun features a separate Linux-based system-on-a chip on the motherboard. The Linux system takes care of the networking tasks, while you can use the ATmega32u4 like a standard Arduino Leonardo. Price: $275, on sale online at the end of July. At the risk of stating the obvious, the Arduino Robot is an Arduino board that’s also a little robot. It’s actually composed of two separate boards (a control board and a motor board) that each feature the Leonardo’s ATmega32u4 processor. The bottom board has a pair of wheels, space for 4 batteries, and infrared sensors. The top board has an LCD screen, 4 buttons, a speaker, a compass chip and some LEDs. Though it’s designed with room to add your own custom hardware, the Arduino Robot is still more preconfigured than most Arduino boards. If you want to build your own, custom robot, you’ll have a lot more flexibility using an Uno or a Leonardo, along with a motor control shield and whatever motors, servos and actuators you want to use.